Guy will be presenting to the San Francisco Revit Users Group at the AIA San Francisco chapter office this Wednesday, November 18th. 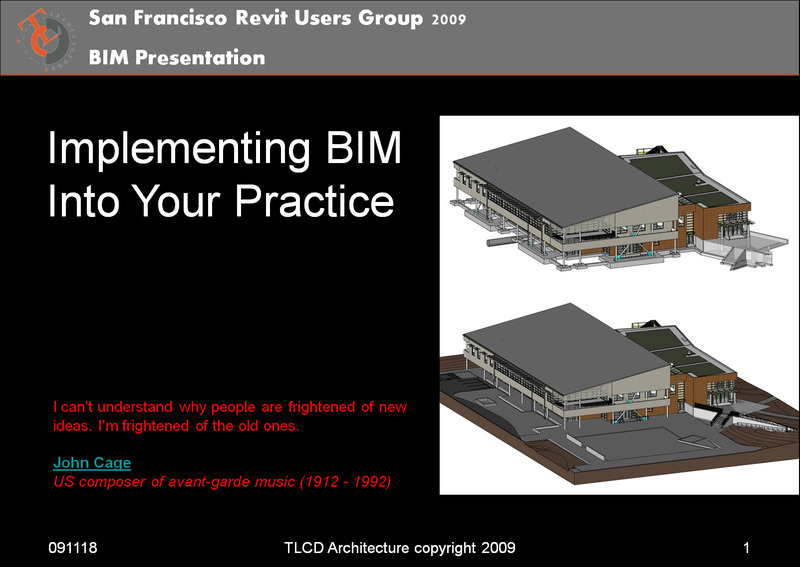 The topic will be “Implementing BIM Into Your Practice”. The attendee list is well over 100 and represents a true cross-section of S.F. and Bay Area firms and agencies. This is great Guy, best of luck. For those who don’t know, this effort contributes to the firm’s strategic initiative to promote our BIM expertise.